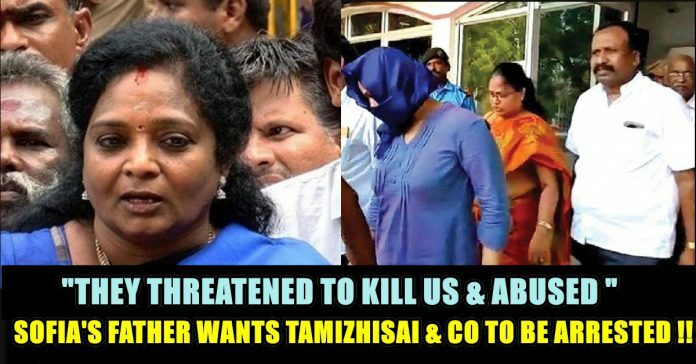 “Arrest Those Who Threatened To Kill Us” Sofia’s Father Wants Tamizhisai & Co To Be Arrested !! State President of the Bharatiya Janata Party, Tamilisai Soundararajan was seen losing her cool at the Thoothukudi Airport on Monday and asking a police woman to take action against a student who shouted anti BJP slogans on a flight. According to the police, Sofia Lois, a student from University of Montreal, Canada, who was also travelling in the same flight with Tamilisai Soundararajan raised anti-BJP slogans. Enraged by this, Tamilisai Soundararajan engaged in a verbal fight with the student and later with the police who were stationed in the airport and had tried to calm her down. “When I am taking my bag, a customer shouts ‘BJP’s Fascist government down down’. Is that freedom of speech?” she is seen asking in the clip. The leader has also allegedly lodged a complaint with the Pudukkottai police station about the incident after which the police have detained Sofia Lois for questioning. After giving complaint against Sofia in the airport, Tamilisai met the reporters and said that Sofia could belong to some terror outfit by seeing the way she behaved. “She did not look like a normal person. I am not scared or worried because of her. The other passengers inside the flight should not be affected by her, that is why I responded. In a public place people can shout, but nobody has the right to shout inside an aircraft,” she said. Athisiya Kumar, Advocate for Sofia Lois spoke to TNM and said that the BJP leader could have handled the issue in a better manner. 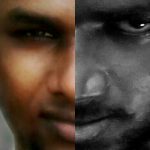 “She (Tamilisai) is a good doctor, a senior leader. Couldn’t she have just spoken to her? Instead of shaming her in public. She (Sofia Lois) is just a student. It’s so common to do this in Canada. We don’t have that freedom in India. Instead of advising her, she has insulted her. She also instigated her cadres who have been even more vulgar,” he alleged. Adding that Sofia is strong in her stand of not apologising, She said that her father has filed a complaint against the cadres with the police. 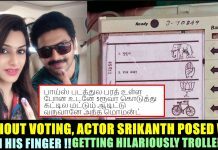 Tamilisai was travelling on seat number 3, while Sofia was on seat no 8. According to the BJP leader, Sofia shouted the slogan inside the aircraft and later at the baggage collection area too as she had gone to complaint to the airport manager. Adding that the way in which Sofia behaved was suspicious since she raised her hands and shouted, Tamilisai said that the whole incident seems to be pre-planned. “You would have noticed that she has tweeted before the flight took off. Yesterday we found out that she tweeted. My flight was at 10.20am and it took off after ten minutes delay. So she has tweeted that Tamilisai is with me and I am going to raise slogans. It is preplanned right?,” she asked. 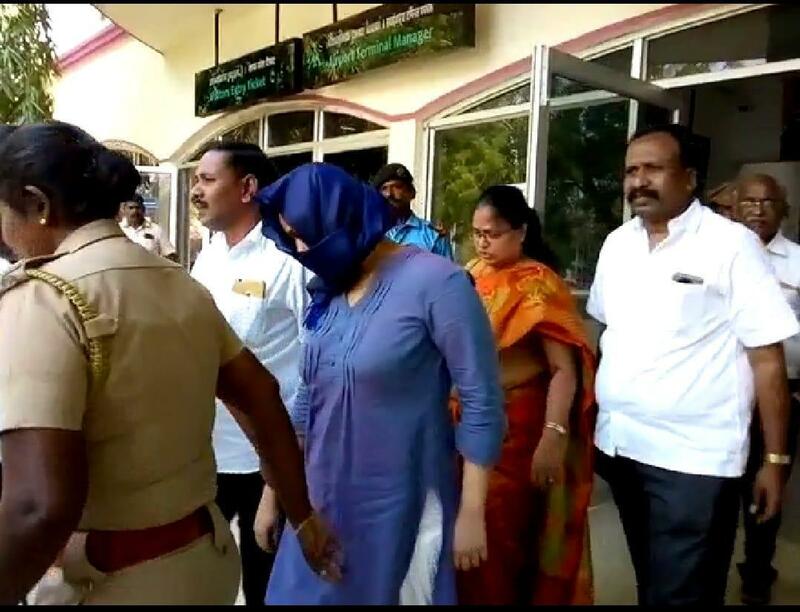 Thoothukudi Police arrested Sofia Lois late on Monday night and took a case against her under IPC sections 505 (statements conducing to public mischief), 290 (public nuisance) and Section 75 of the Tamil Nadu City Police Act. Sofia has been remanded to judicial custody for 14 days. Her father, Dr AA Samy, had also given a complaint to the Inspector of Police, Pudukkottai police station, against Tamilisai Soundararajan for instigating her workers against the family and causing them mental agony. 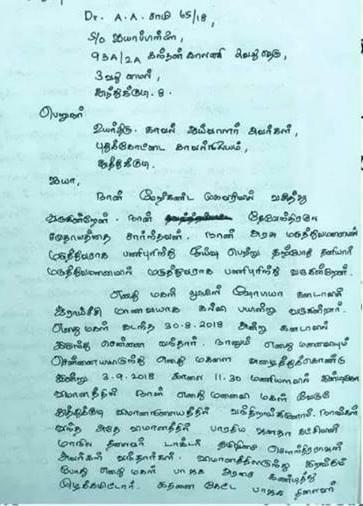 In his complaint, AA Samy said that his wife, his daughter and he were travelling from Chennai to Thoothukudi in the same flight and that his daughter raised slogans in the flight while getting down. He also stated that Tamilisai did not say anything inside the flight and that the issue began after they reached the baggage area. “Upon her instigation, more than 10 workers blocked our way in the airport and did not let us go outside. They issued death threats to us. The BJP leader also threatened me and my daughter. They also took our pictures without our permission,” read the complaint, in Tamil. The complaint requested the police to take action against the BJP leader and others who made the family ‘fear for their lives’. 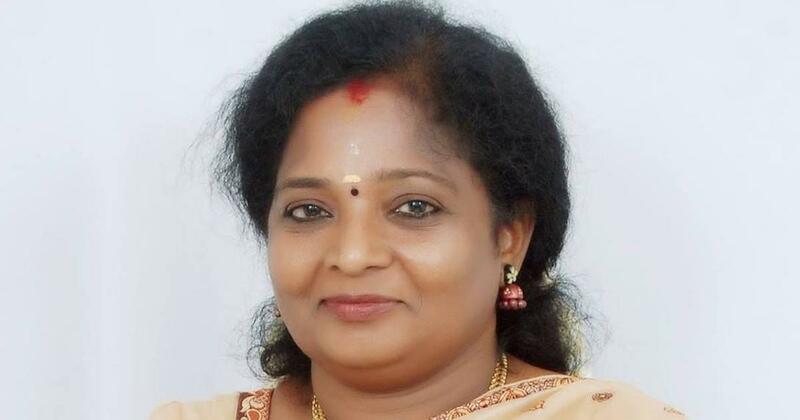 Rubbishing Sofia’s father’s complaint that BJP workers were unruly, Tamilisai said that she restrained the BJP workers who were with her and gave a written complaint to the authorities. She said that she was arguing with the police official in the airport and not advancing towards Sofia as it was shown in the media. “My workers were all furious, I stopped them and went to write a complaint. The police official was like ‘illa madam, ponga ponga’ that came out in TV like I was advancing towards her. It is not like that. I am a well-educated person, I know what I am. I know things. I am also a female politician. When she has some rights, I also have privacy and I also have some rights. So when I travel, I should also have privacy right. So she shouldn’t have shouted like that. 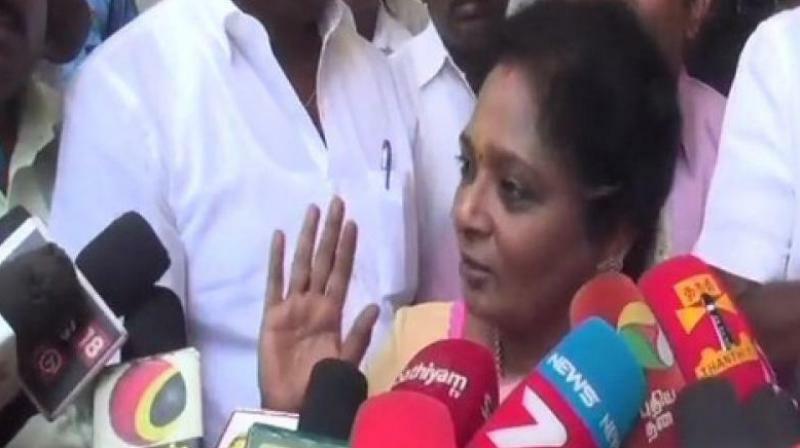 What I did was correct only,” Tamilisai said. Justifying her filing a complaint, Tamilisai said that Sofia’s background, the words she used and the way she raised slogans was suspicious and it didn’t feel like an ordinary passenger’s behaviour. 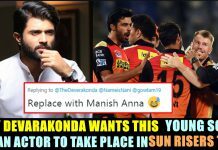 Previous articleFan Asked Rohit What Team He Would Prefer To Go Against Mumbai Indians !! 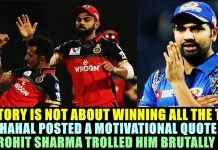 Rohit Reply Was Just ROFL !! Next article“R U Interested In Adult Films ? ?” Asked Fan To BIGG BOSS Vaishnavi & Check What She Said ! !